Spiral Harlequin Crucifix ~SP~ 1 3/4 in. Italian oxidized silver plate Spiral Harlequin crucifix. This sturdy and ornate crucifix features a spiral design that creates a harlequin pattern. Looking closely, the harlequin pattern reminds me of the windows we used to see at my uncle's church when we were little. This is a very unique and bulky piece. 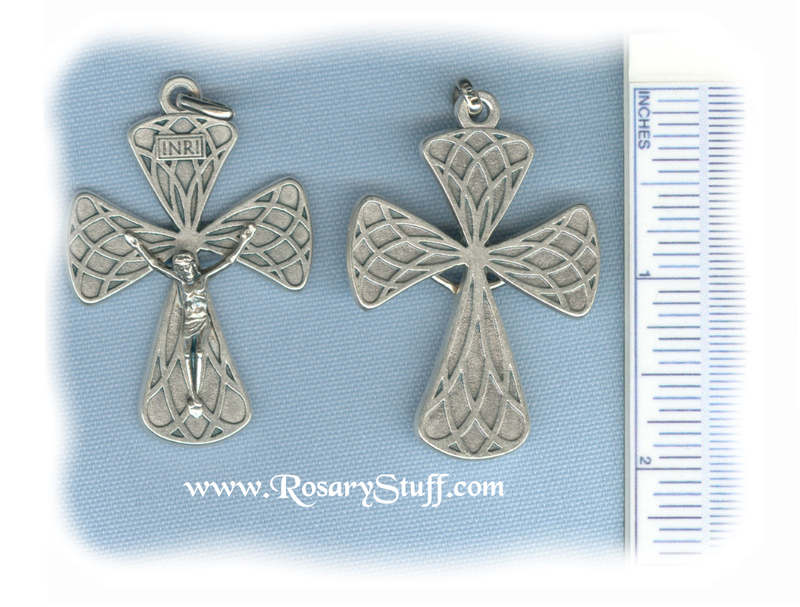 Sized at a little over 1 3/4 inches tall (not including ring) and 1 3/8 inch wide. Holy Trinity Crucifix (Wavy) ~SP~ 1 5/8 in.